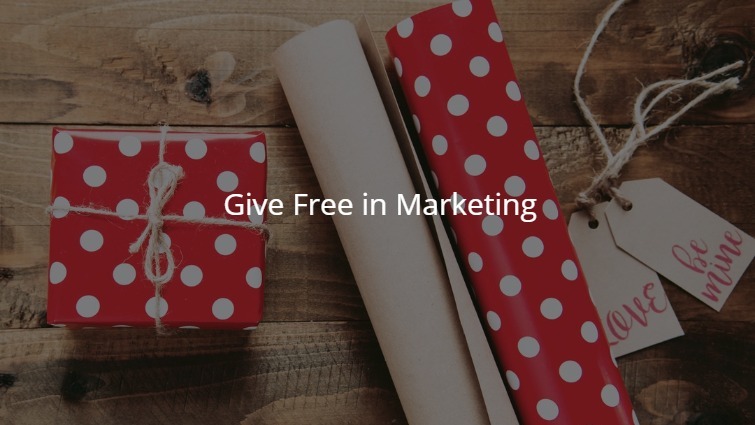 Give free marketing is an irresistible offer. This principle of persuasion can help to create a strategy and understand your competitor strategy to influence the customer. Marketer often gives gimmick, free something or give attention first, that makes customer have a moral duty or debt of gratitude at least give similar attention, and often buy your products. Reciprocity means that if there are people who do good to us, we also have the impulse to repay the good. In many situations, we tend to repay others. This reply does not have to give the same gift. The reply can be paying attention and listening to what we say and we want. Reciprocity is one of factor persuasion that formulated by Dr. Robert Cialdini, author of the popular book Influence: The Psychology of Persuasion. Giving is effective if done first, so he feels indebted. In advertising, this is done by giving free samples of products, free trial periods, giving attention, actively offering assistance as per their circumstances, that is one example of giving. Giving does not have to be goods or services as well, giving discounts including granting. The effect of giving not only affects those who receive the gift. Those who do not receive the gift also appreciate and then easily accept what you say. Family, friends and even friends are happy and will easily accept what you say. Another factor of the effectiveness of giving is that giving is exclusive, not everyone can get gifts. He will be more and more indebted. Giving a discount will be more seductive if imbued, especially for you, especially for your group. In addition, the goods provided are also exclusive, difficult to obtain elsewhere. He will feel honored, and feel indebted. Next, he will be easy to say yes what you say. Giving also encourages repayment if the one told you is not from an anonymous source.